Laksha Bay allows diners to embrace the relaxed lifestyle of Indian island living, whilst savouring some of the most intense and authentic flavours in their delicious dishes. The dishes are cooked using traditional cooking methods, and the expert chefs at Laksha Bay add a touch of modern finesse, to give those in Wapping a flavoursome taste of the real India. We use only the finest ingredients at our celebrated Indian restaurant,from tender meat and fresh vegetables to delicate herbs and spices, and our award-winning curries are feted across the entire capital. The décor and ambience in the restaurant have been carefully crafted to provide a first-class dining experience. Classic lines and furniture combine with traditional embellishments and authentic Indian patterns to create an atmosphere of true luxury in-keeping with the theme of the menu. We have cultivated an aura of true class, comfort and excellence in our restaurant. For those who want to dine or entertain in the comfort of their own home, we also provide a takeaway service across the Wapping area. Browse our takeaway menu, choose your desired dishes and wait for your selected delicacies to arrive, enjoying a taste of Laksha Bay’s exquisite Indian cuisine in your own dining room. Order Online or Book a Table and join us in an exciting culinary journey which is a result of centuries of patronage to the art of cooking and a large repertoire of delicious recipes. 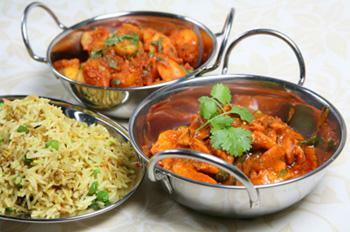 All our amazing Indian meals are available online by visiting our Online Takeaway Menu page. Sit back, relax, choose some of our vast ranges of mouth watering dishes. 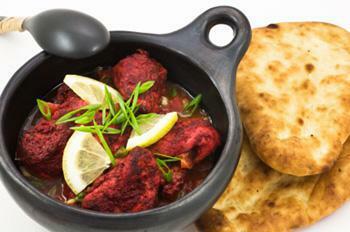 The fantastic Indian cuisine is available with Free Home Delivery to the Wapping area. Miniumum order value of £20. Can only be used on www.laksha-bay.co.uk. Cannot be used in conjunction with any other offer. Here at Laksha Bay an Indian Restaurant & Takeaway in London, we have a wide range of menu options. Serving delicious Indian food, we are sure we have something for you to enjoy. Good food; prompt delivery; reasonable prices.